SoulStock is set for May 17-18 in Decatur. 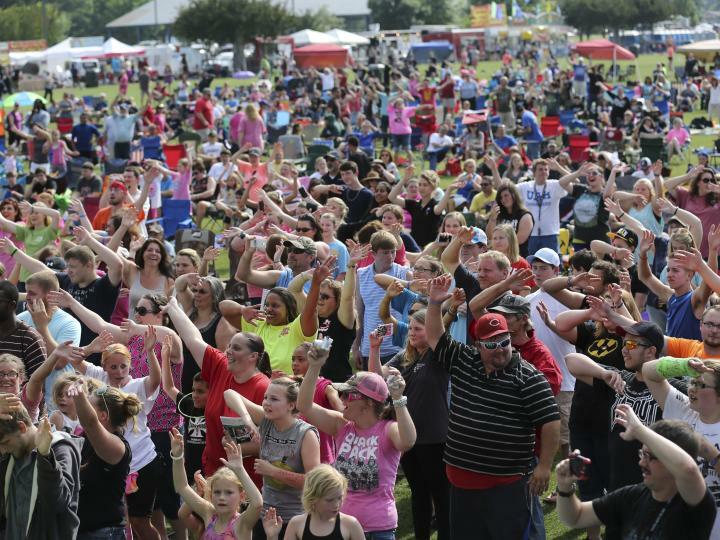 Decatur, Ala. – Some of the top artists in contemporary Christian music will fill the air with spiritual tunes and inspirational messages the third weekend in Decatur, Ala. during North Alabama’s largest free outdoor Christian music celebration. Set for May 17-18, 2019, SoulStock features a night of worship and joyful music with local praise bands followed by a day of ongoing music by a distinguished lineup of Christian bands. On Friday, gates open at 5:30 p.m. Local praise bands (TBA) will provide music beginning at 6 p.m. Friday’s headliner is singer-songwriter Noah Cleveland (www.noahcleveland.com). Making his seventh appearance at SoulStock, Noah has shared stages with For King and Country, Sadie Robertson, David Crowder, Building 429, Big Daddy Weave, Sidewalk Prophets and Audio Adrenaline. Grammy nominated Britt Nicole is a vocalist, songwriter and recording artist whose inspirational tunes have earned spots on both contemporary Christian charts and mainstream Top 40 charts. Her debut LP, Say It, reached number 40 on Billboard&apos;s Top Christian Albums chart. The song, “The Lost Get Found,” landed on the Billboard 200. Her third studio album, 2012&apos;s Gold, climbed to number 41 on the Billboard 200, and its title track marked her debut on the Hot 100 as well as on Billboard&apos;s Pop Songs chart. Later in 2012, she signed with Capitol Records, which reissued Gold in 2013. The LP went on to earn a Grammy nomination for Best Contemporary Christian Music Album. A year later, the song "The Sun Is Rising" appeared in the Cameron Diaz film The Other Woman. The annual event is held on the Spirit of America Field located in Point Mallard Park in Decatur. Festivalgoers are encouraged to bring picnic blankets and lawn chairs, and a variety of food vendors will be available to suit any taste bud. A donation of $5 is requested at the gate. The entrance gate is located on the west end of the fenced Spirit of America Field, closest to T.C. Almon Recreation Center. No coolers, spiked-end beach umbrellas or pets are allowed on the Spirit of America Field. For more information, visit www.soulstock.com.